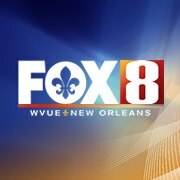 Our New Orleans-based partners, Silent Disco PluggediN, was recently featured on the local news. Below is the full video as well as the transcript. Since the Walkman hit the streets we have all seen private dance parties at bus stops or in the grocery store, but some New Orleanians are taking that experience to another level. Fox 8 looked at what it looks like when the whole party is dancing to the music in their own silent disco. Record spinning, Pop-locking, head bobbing and hip shaking are everything you expect to see at a dance party, but the biggest thing you hear appears to be missing, but it isn’t really missing at all. Al “Go-DJ Dat Boi” Mitchell said, “When they get here it’s like wow. That’s their first words.” Mathew Lacey said, “It’s different. It’s an experience.” Naomi Galatas said, “I’m really having a good time. It’s a little chilly, but it’s good fresh air and it’s good music so it’s fun.” Under a moonlit sky, the courtyard of a Marigny club became a Silent Disco. So it’s not exactly “silent,” but if you want to know what people are dancing to you have to either rely on some relayed performances or rent the wireless headphones that will allow you to switch between the two DJ sources and control the volume. Matthew Lacey has attended before. Lacey said, “They are all playing, all at the same time you know and whoever you’re digging at the moment you can listen to.” He does miss some things about a traditional speaker system. He said, “The vibrations from the bass, everyone feeling the same thing at the same time.” He still thinks it’s fun. “It’s good every now and then. Change is good,” He said. Magee said once they saw the You Tube events, “We decided to call the company and see if we could represent the company for the south region and it was a go.” There are several other companies that will come into the area and set up the experience for private parties, but Silent Disco Plugged-In hosts this monthly event in addition to that service. One more advantage to the headsets, “If you look at the diversity in the crowd you have a little bit of everybody,” said DJ Dat Boi. Unlike a club with multiple rooms or levels, everyone can be in the same space. He said, “You have Reggae fans, you have Hip-Hop fans, you have Techno, you have Dub Step all in one room appreciating different types of genres of music. This (the headphones) allows you to incorporate all in one.” If nothing else, it makes for great people watching. DJ Dat Boi said, “When you take the headphones off, you actually see how everybody takes in the music. That’s what I love the most, taking the headphones off,” a priceless experience. It cost about five dollars to rent the headphones. If you want to check out future events, you can find Silent Disco Plugged-In on Facebook and Twitter.